The next in line to replace the failing Ian Bell? Our domestic system hasn't produced anyone! We have the most extensive (and expensive) professional cricket structure in the world. Eighteen domestic clubs each with a fully professional squad of players (that's about 300 of them) coaches, grounds etc. etc etc. The Counties spend our money (see below) on too many talentless players, too many foreign imports, too many past-it time-servers. And, as we now see, trying to find a Test cricket prospect from this mob is unsurprisingly difficult. How many genuine international cricket prospects has this moribund system produced in recent years, bar Joe Root? 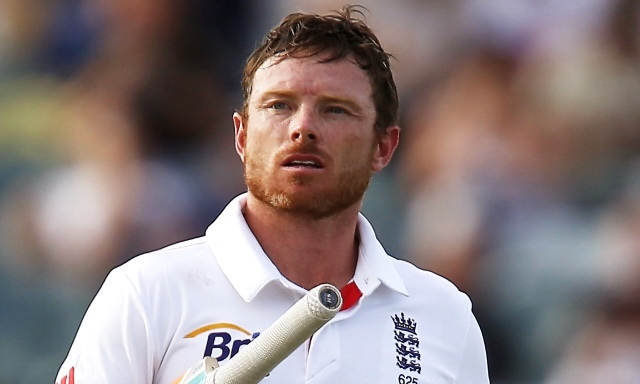 Who is to be Ian Bell's replacement? Is Jos Buttler convincing as Matt Prior's? Or Moeen Ali as Graeme Swann's? Where are the successors to Jimmy Anderson and Stuart Broad? James Whitaker the Chairman of Selectors has a difficult job, one he does with difficulty, but he perhaps deserves some sympathy. The Counties pursue their own interests (mainly survival) and producing home grown talent is low down their list of priorities. Need an opening batsman? Nurture and develop one over the years in your youth system - or buy in a pre-made Kiwi or a Saffer whose looking to play some well-remunerated cricket in the English summer months ? They often take the easy option - and the England and Wales Cricket Board (ECB) pays them to do it. The hugely costly 18 County system would not exist, could not exist, without generous subsidy from the ECB. That's our money by the way. Our £100 per day Ashes tickets. Our Sky subscriptions... And that money is spent so ineptly that from the 300 professional cricketers it pays for very few are anything like international standard (the overseas players excepted of course). Revolution is necessary starting from the imperative that by far the most important requirement of a domestic cricket system is to produce players for the England teams. We are signally failing to do this with the current set up. Some counties have not one player in their squads of true international potential and haven't had one for years. Time for change. In their last three Test series, including the current one against Australia, England has gone one up and immediately lost the next Test for the series to be levelled. In the West Indies it was ignominious - the performance in Barbabdos was a disgrace and England slunk away without apologising to the 10,000 of us who travelled to watch them and deserved better. At Headingley against New Zealand they were better but ultimately pretty spineless and a defeat by 199 runs did not flatter the Kiwis. And this weekend at Lord's the depths were plumbed again the lost by 405 runs was England's sixth worst defeat ever against any opponent when chasing a total in the fourth innings. These three successive serious reversals may of course be a coincidence, but I don't think so. The wins that preceded them were commendable. But far from the momentum being maintained the reversal was swift and complete. It may be that the Windies and New Zealand made an extra effort to try and get back after a defeat and there is certainly no doubt that that is exactly what the Australians did. But England seem to be able to reverse the cliche of being "on a roll". Highs and lows are alternating worryingly. At Lord's we should take nothing at all away from Australia. They played with determination and skill and thoroughly deserved their victory. Their bowlers gave lie to the idea that the pitch was too flat and lifeless. And their batsman in application, technique and (mostly) commonsense were in a different dimension from England's (mostly) spineless bunch. That's an average of 66, boosted by the only two totals over 100. All too often when Root came in at number five England was in serious trouble. Bad batting which when you're up against an attack as good as Australia's was at Lord's creates a position from which a decent recovery is nigh on impossible. England jettisoned their Coach after the Caribbean and by the time Trevor Bayliss arrived there were some positive signs. The win in Cardiff was praiseworthy but the loss at Lord's will have given him food for thought. Lyth, Bell and Ballance look vulnerable but it would perhaps be a bit panicky to drop all three. Buttler doesn't look safe either and, Broad aside, it's hard to make a persuasive case for the rest of the attack. 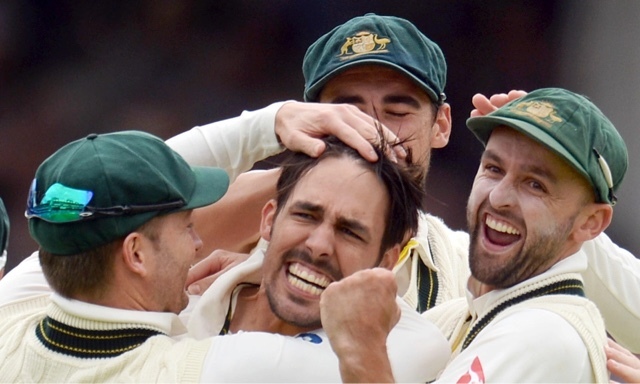 Say it softly but Anderson was ordinary at Lord's and Wood and Stokes won't be giving the Aussies any sleepless nights. It won't happen but I would replace Cook as Captain. He's frankly very ordinary - let him concentrate on his batting. Bayliss hasn't got the authority to do that but if he's going to recommend braveness now is the time to do it!